Training is organised around three terms each year. Autumn and Spring terms are both 12 weeks each and the Summer term is 11 weeks. Each term has a one-week half-term break. Students can enrol at the beginning of any term. There is also a short residential that takes place over one weekend each year. The weekly schedule runs over four days a week: Wednesday evening, and Thursday, Friday and Saturday mornings. 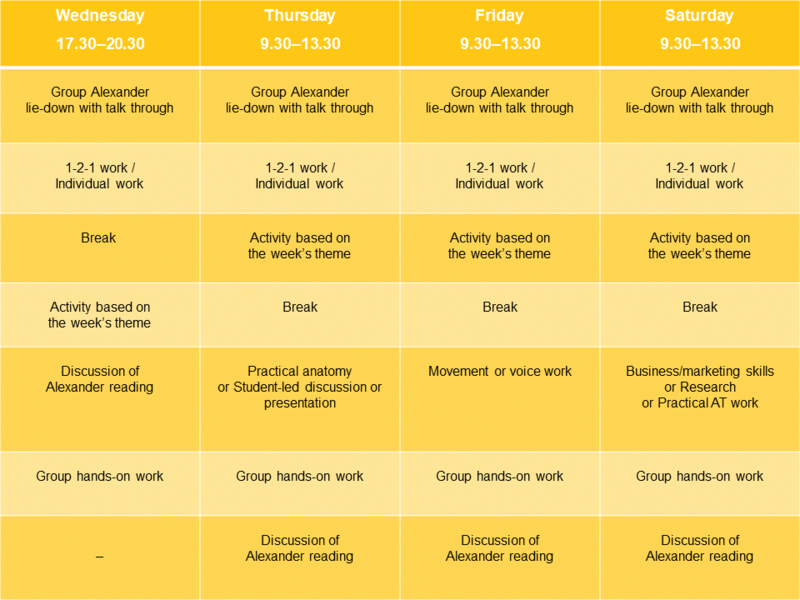 Timings for each day and a typical weekly course programme are shown below.